Visit DJMC IAN B's profile on Pinterest. How Much Should you Pay for Your DJ? DJ/Entertainment rates vary based upon talent, experience, emcee ability, service, coordination, equipment needed, music knowledge, mixing ability, and personality. A full-service DJ/Entertainment company will normally invest 12 to 30 hours to your special event but it may appear that you are only paying for "4 hours". Consultations, music purchasing & editing, preparation, set-up and tear-down, education and other business related endeavors add up to the overall success of your special occasion. Rates for the DJ/Entertainment industry vary greatly, ranging from $350.00 to over $5,000.00 with an average of $1,200.00 for a 4 hour booking. The best price is not always the best deal, especially if you are planning a wedding. As a matter of fact, surveys conclude that nearly 100% of brides would have spent more money on their entertainment and made it their #1 priority in hindsight. The best price is not always the best deal, especially when planning a wedding! During wedding planning, Brides say their highest priority is their attire, followed by the reception site and caterer - reception entertainment is among the least of their priorities. Within one week after their reception, 78% of Brides say they would have made the entertainment their highest priority! 65% of all couples that chose a band to entertain at their wedding, said, if they had it to do over again, they would have chosen a disc jockey. Assuming a $10,000 food/drink minimum you’ll spend a minimum of $1500 on gratuity at 15%. Which has a bigger impact on the outcome of the event? Quality entertainment or a 15% gratuity on food/drink? These statistics were published in St. Louis Bride & Groom Magazine in 2003. Sources include: Simmons, 2001; USA Today, 2002; National Bridal Service, 2001; The Knot, 2002; Brides Magazine, 2001. We provide the best in high impact Deejay services, elite caliber Masters of Ceremonies, with professional grade lighting tailored to fit you and your vision. 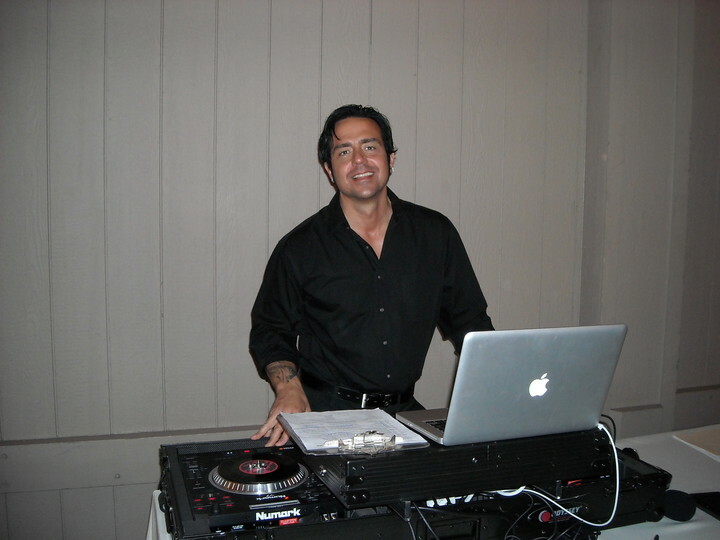 We are a mobile disc jockey service based in Orange County. If you are searching for the best Orange County wedding DJ, Los Angeles wedding DJ, or Inland Empire wedding DJ then fill out our contact form and let us take care of you. We provide DJ services throughout Southern California here is a small list of frequented cities that we serve Anaheim, Balboa Island, Beverly Hills, Brea, Burbank, Corona, Costa Mesa, Coto de Caza, Cypress, Dana Point, Foothill Ranch, Fountain Valley, Fullerton, Huntington Beach, Irvine, Lake Forest, Laguna Beach, Long Beach, Los Angeles, Mission Viejo, Newport Beach, Newport Coast, Oceanside, Orange, Pasadena, Placentia, Rancho Santa Margarita, Redlands, Riverside, San Clemente, San Juan Capistrano, Santa Ana, Seal Beach, Studio City, Temecula, Universal City, and Yorba Linda. If you are in need of a Orange County DJ, a Los Angeles DJ, a Inland Empire DJ, a event DJ, or a wedding DJ I encourage you to contact us you will not be disappointed.